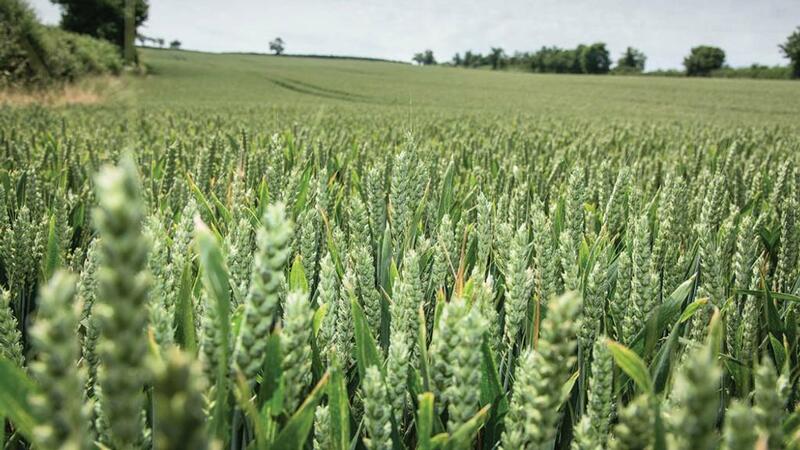 Initial trials on two spring milling wheat varieties at three sites in northern England have indicated use of a biological based programme for disease control could deliver yields ‘not that dissimilar’ to a conventional programme. The trials, initiated by the Yorkshire Agricultural Society’s Farmer Scientist Network, which secured European Innovation Partnership grant funding for the two-year project, are being carried out by Eurofins. Prof Rob Edwards, head of Newcastle University’s School of Agriculture, Food and Rural Development and chair of the Farmer Scientist Network is lead/scientific coordinator of the project. Treatments were an IPM risk evaluated programme – in low risk situations no chemistry was used, in medium risk, biological control was used and in high risk, conventional control was used; a biological programme; and a conventional programme. The biological programme included a micro-organism-based seed treatment and botanical based foliar spray. Trials were carried out on Mulika and KWS Willow spring wheats, drilled in spring 2017. At one of the trial sites under the IPM programme, for example, Mulika yielded 5.9t/ha (2.39t/acre), under the conventional programme, 6.6t/ha (2.67t/acre) and under the biological programme, 6.1t/ha (2.47t/acre). KWS Willow yielded 5.86t/ha (2.37t/acre), 7.04t/ha (2.85t/acre) and 6.03t/ha (2.44t/acre), respectively. For 2018 harvest, trials are being carried out on the same sites with winter wheat varieties Skyfall and KWS Leeds which were drilled on October 2. There will be six replicates with the same three treatments although the detail of programmes, such as spray timings, is still to be finalised.